Abby, a precocious emo-goth teenager, orchestrates a surprise reunion for her mother Tanya and birth father Tom, with the help of her mom's fiance/healer John. Hoping to provoke long-lasting reconciliation between her parents before her high school graduation, Abby's plans completely derail when Tom arrives with his new girlfriend Alisha. Can this family confront their past traumas, "deal and heal?" 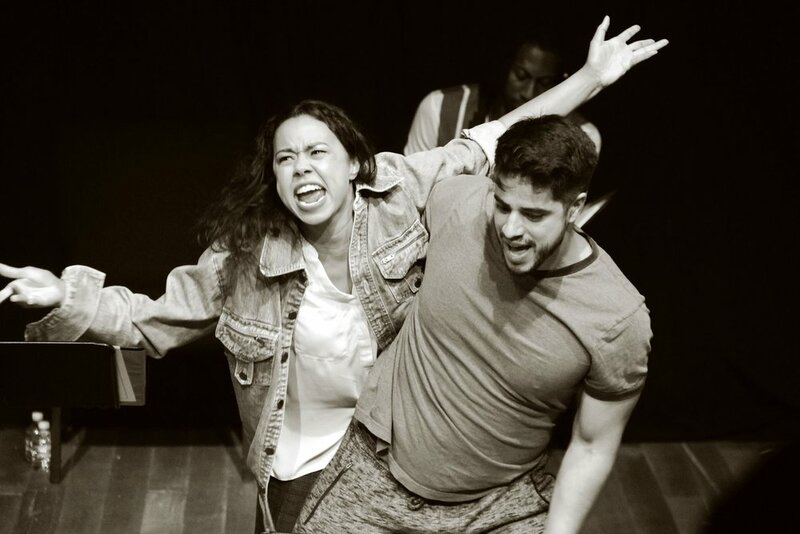 "Teen Dad" subverts popular regional theatre "kitchen-sink beach house dramedy" to share a heartfelt, comedic exploration of generational trauma and recovery in a mixed race Black and Latinx family.